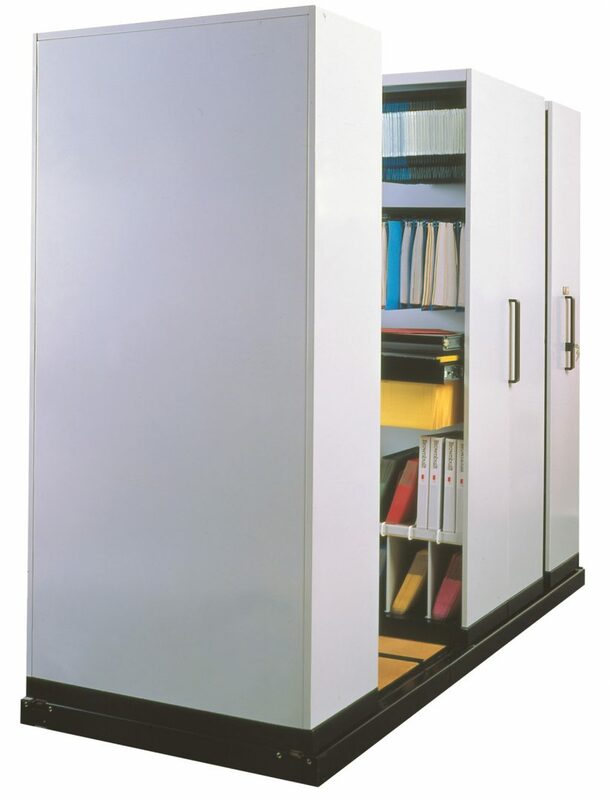 Office CompakMax is the economical choice for compacting storage. Hand operated compacting storage system. Base mounted for easy installation and relocation. The base is placed directly on existing floor and has height adjustable feet. 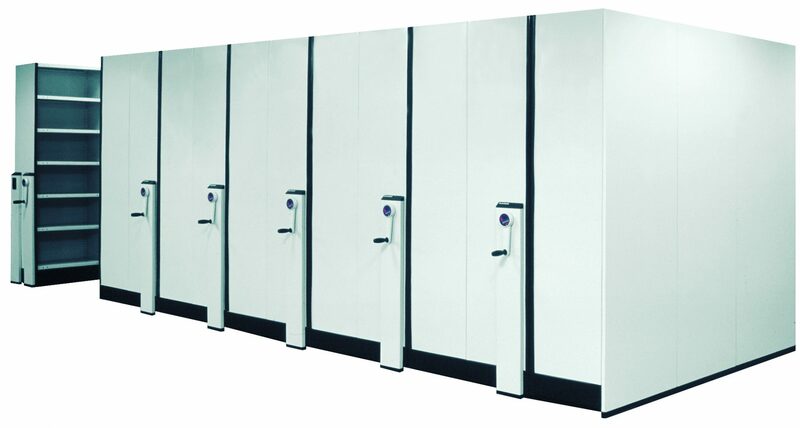 Units are lockable for security in common areas. 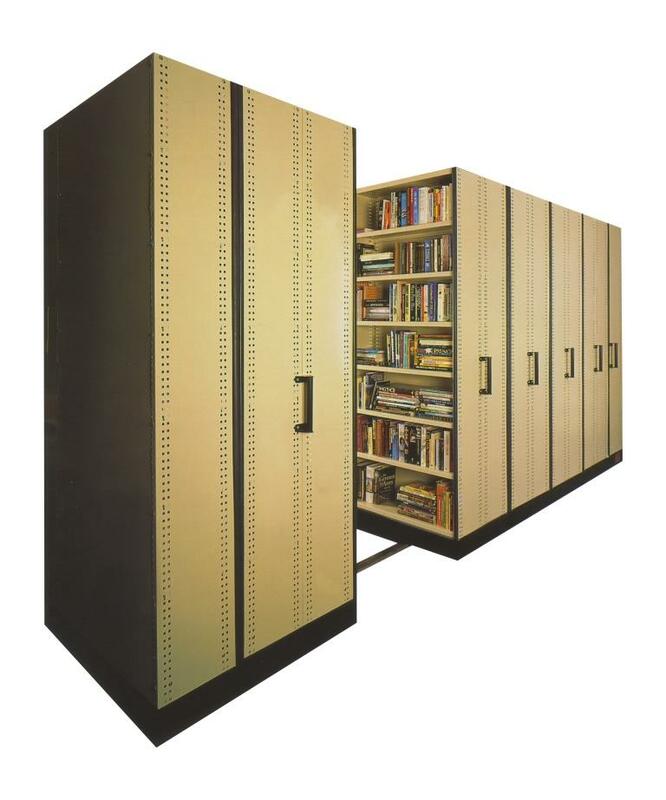 Units can be linked for a two-bay wide installation. 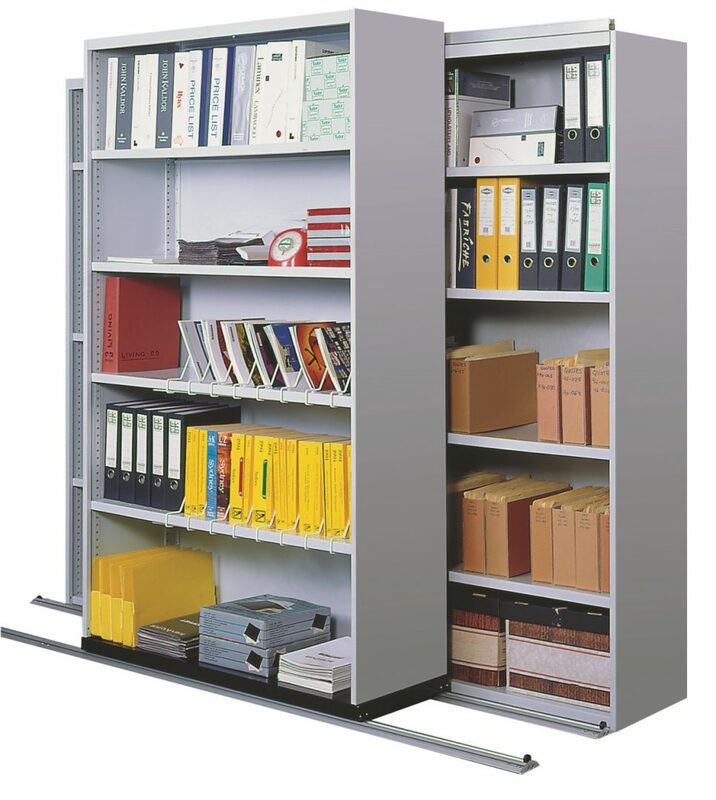 Mobile bases can be used with Light Duty or Medium Duty RUT shelving to suit the load application. With only 6kg of force required to move up to 2 tonnes per mobile, a hand operated system can still be effective for installations up to three bays (2700mm) wide. 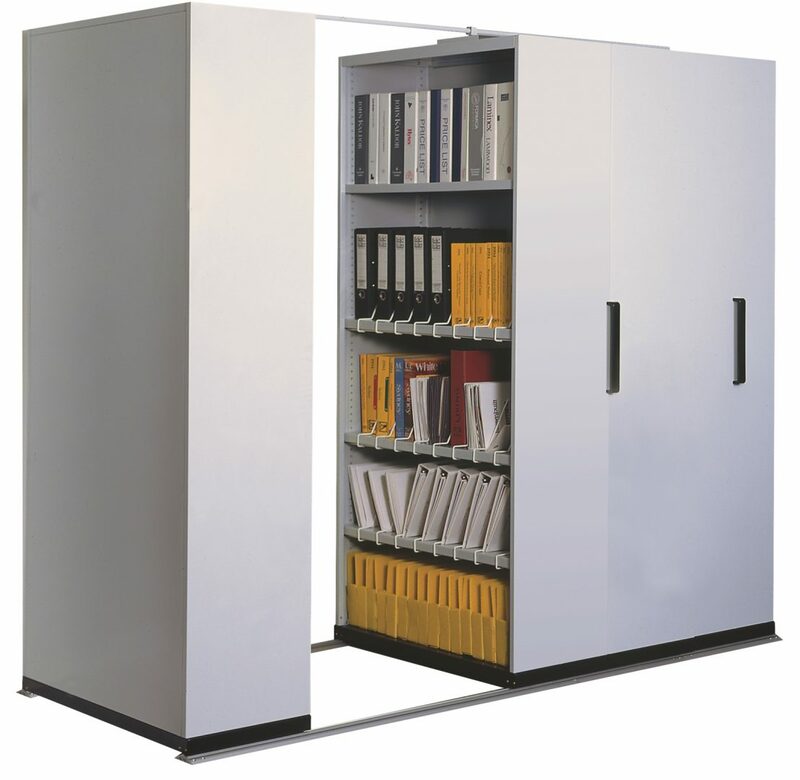 For larger compacting storage systems, mechanical assistance may be required to assist movement of the mobile shelving bays. Typically a winding handle connected to a simple chain drive system is fitted to each mobile, allowing up to 12 tonnes to be moved simultaneously. Electric mobile systems are also available. A wide range of configurations are available. 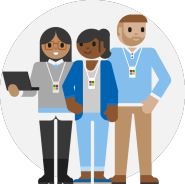 Please contact us with your requirement. Versatrac compact mobile storage systems use a low profile aluminium track for lighter duty applications. Tracks typically fitted directly onto existing floor with minimum preparation. Available in “in-line” or “transverse” configurations.